Contest: Win a Sun Safe Sweepstakes from Coolibar! Win a Sun Safe Sweepstakes from Coolibar! 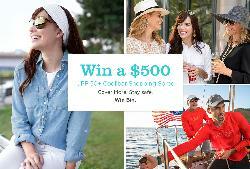 Prize: 5 Winners - $500 shopping spree for Coolibar-branded UV clothing, hats and accessories.